Sedona, Arizona is a treasure to discover at any time of year, but the small city bursts into life during the spring months. With average daytime high temperatures hovering between the mid-60s and the low 80s, visitors enjoy comfortably warm, sunny days and cool evenings. 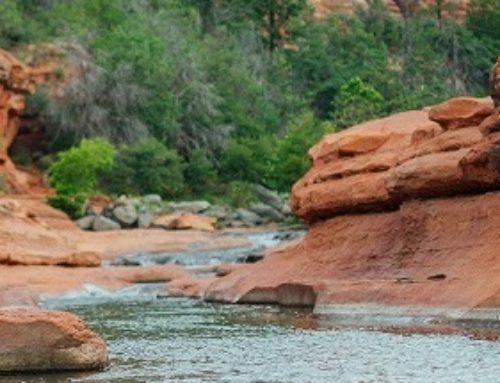 This weather is ideal for experiencing Sedona’s endless array of activities, from hiking and jeep tours to art walks and a diverse calendar of events. Known worldwide for its astounding red rock formations and extensive trail systems, Sedona is a premier destination for hikers and other outdoor enthusiasts. During the springtime, the desert in and around Sedona erupts with color as cacti and wildflowers bloom into shades of orange, purple, and yellow. Between the moderate temperatures and the vibrant landscape, spring is peak season for hiking. Sedona boasts trails suitable for any skill level, and on-foot exploration of these trails is one of the best ways to explore the area’s fascinating ecosystems. 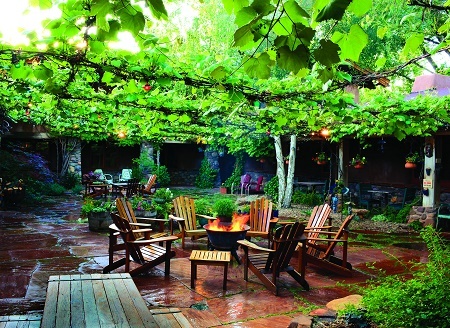 Visitors can also make the most of the idyllic weather by indulging in the numerous other outdoor activities for which Sedona is known, such as golfing or strolling through the eclectic selection of shops and art galleries in Uptown. In addition to mesmerizing natural beauty, springtime in Sedona brings an exciting schedule of festivals and events that appeal to a wide variety of interests. 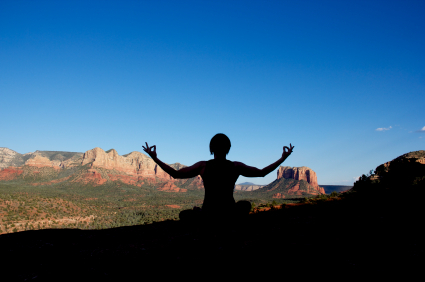 The Sedona Yoga Festival – a Consciousness Evolution Conference – will be held March 9-12. 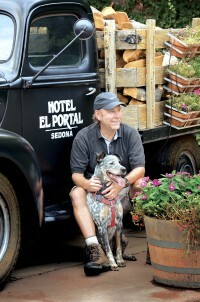 Year-round Sedona is hailed as a spiritual mecca. The Sedona Yoga Festival draws on the city’s positive energy, offering attendees a transformative experience with over 200 available classes and workshops. From April 28-30, the Sedona Open Studios Tour provides attendees the rare (and free) opportunity to visit with talented artists – who specialize in mediums ranging from jewelry and photography to sculpture and watercolors – in their daily work spaces. 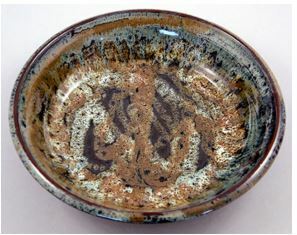 This experience provides insight into the creative process behind the amazing works of art created in the Sedona area. Spring 2017 culminates with two lively cultural events: Cinco de Mayo Celebration on May 6, and ILLUMINATE Film Festival May 31-June 4. Held along the cobblestone paths of enchanting Tlaquepaque Arts & Crafts Village, Cinco de Mayo is a popular annual event that allows visitors to immerse themselves in the rich culture of Old Mexico while enjoying mariachi music, dancing, and traditional Mexican cuisine – a wonderful celebration for the entire family! Heralded as the world’s premier event for conscious cinema, the ILLUMINATE Film Festival explores cinematic gems that inspire and empower viewers to live more enlightened lives. The festival’s films and workshops explore topics including human relationships, meditation, spirituality, wellness, and sustainable living. 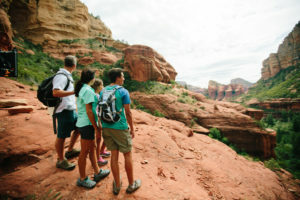 In addition to enjoying these events and exploring Sedona’s hiking trails, families visiting for spring break will encounter a myriad number of activities. Kids and adults alike will love the thrilling experience of a jeep tour, which carries passengers to breathtaking vistas that are inaccessible by most cars. As the jeep bounces wildly along unpaved roads, tour guides offer witty and informative commentary about the history of this fascinating area. Another popular activity is picnicking in the verdant Oak Creek Canyon or testing the chilly waters at Slide Rock State Park, which features a smooth natural water slide in Oak Creek. 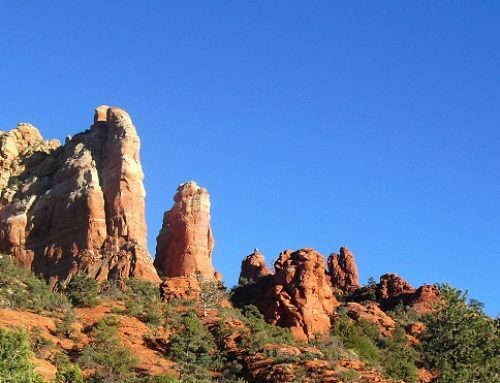 Due to its central location within the state, Sedona offers numerous opportunities for day trips. During the spring months, visitors can enjoy spring training baseball games in Phoenix, a mere two-hour drive south. These games allow fans to watch Major League Baseball teams at substantially lower ticket prices. In early spring, winter sports enthusiasts may still be able to ski and snowboard at Arizona Snowbowl in Flagstaff. Located less than an hour away from Sedona, and almost 7000 feet in elevation, Flagstaff is a charming mountain town nestled among ponderosa pine forests. 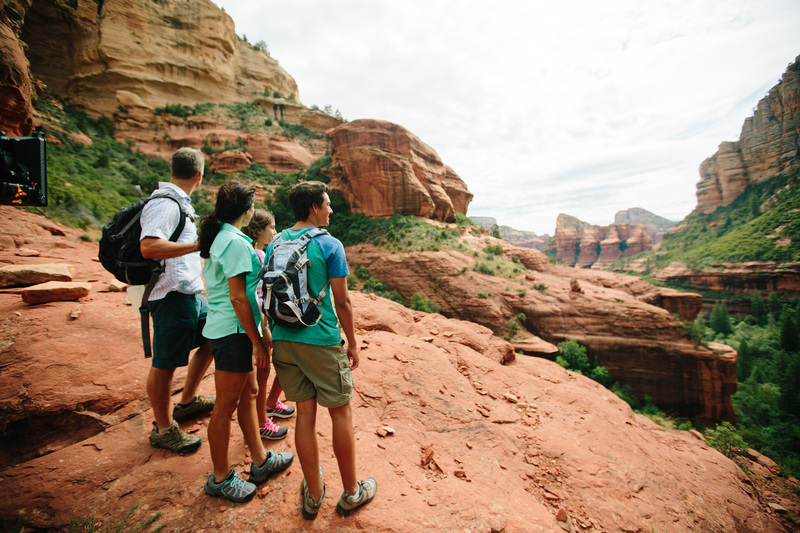 Because of the perfect weather and endless opportunities for adventure, spring is the most popular time of year to visit Sedona, so guests are encouraged to make plans as early as possible. 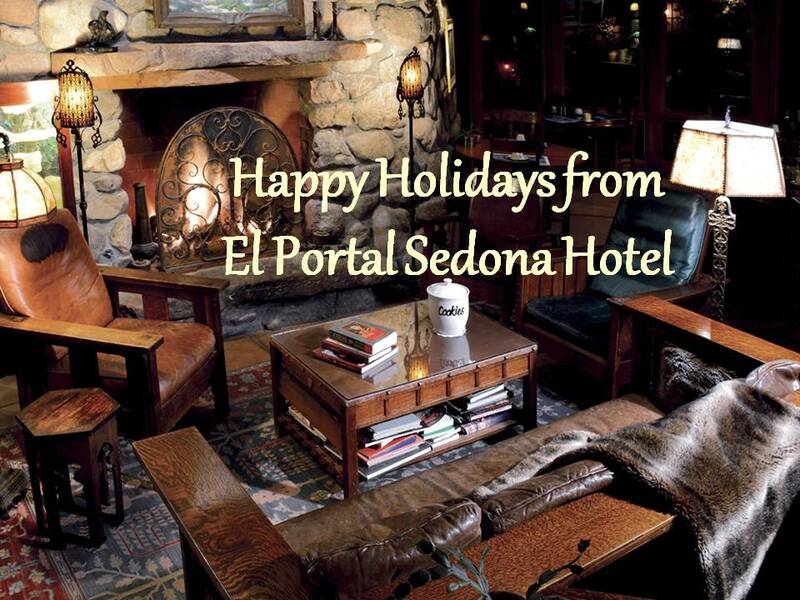 El Portal Sedona Hotel offers an ideal base in the heart of Sedona, just steps from Tlaquepaque. 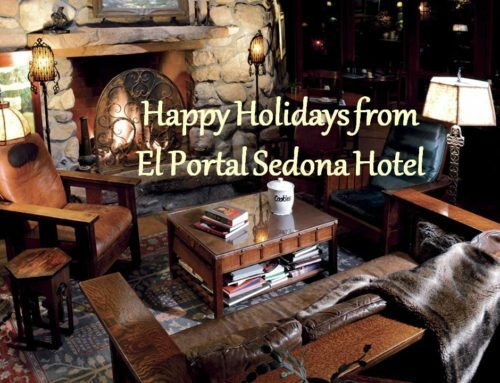 As boutique hotel with only twelve uniquely appointed suites, El Portal Sedona Hotel has been named a AAA Four Diamond Hotel, one of the top hotels in the Southwest by Condé Nast Traveler, and has received Trip Advisor’s Certificate of Excellence Award. Unpretentious luxury resonates from this meticulously and accurately created “hacienda.” Guests can enjoy the beautiful spring weather in El Portal’s lush courtyard, which features a fire pit to warm crisp evenings. 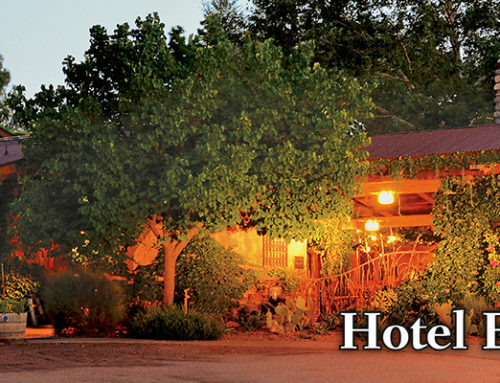 The pet friendly hotel offers guests personalized concierge services for the Sedona area to enjoy, explore and discover springtime in Sedona. I will have a senior citizen tour group in Sedona on May 7th for 1 night. We are traveling there from Durango, which should be about a half day drive. I’m looking for something for them to do that afternoon. We have never been there and I would like for them to get the most out of the time we will have there. We are staying at the Best Western Plus Inn on Cerrilos, the night of May 7th. Any suggestions for an activity or dinner meal? Hike Margs Draw, shop Uptown, take a stroll around Tlaquepaque Arts & Crafts Village, wander the trails of Adobe Jack Trail system. I Would like some info for a group.